Whether you’re looking to gain accreditation, apply for a tendering, or simply to align to the latest standard, MAUS Quality Assurance will save you hours! Whether your are looking to get certified, applying for a tender or simply want your business to operate under the latest ISO 9001 standards, MAUS Quality Assurance Software is designed to save you hours. “Structured, complete and easy to follow. Without MAUS, we would have taken months more in completing our documentation and getting ISO 9001 certification. Highly recommended for all sizes of organisations. 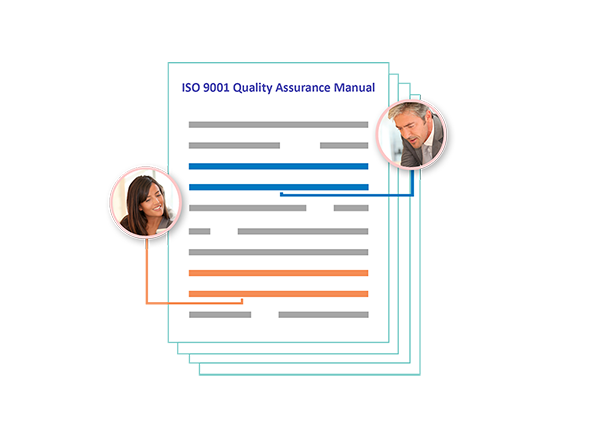 With over 100+ sample QA policies, procedures and forms, MAUS Quality Assurance policies will help you develop your quality procedures and processes in one comprehensive handbook software system. Simply type your business name into the software and it will pre-populate throughout the entire document… time saved! Using the MAUS Quality Assurance ISO 9001 software you will be able to keep a log of all QA policy changes. With version history you will also be able to view previous amendments to documents with time stamps of who made the changes and when the changes were made. Version numbers are automatically incremented with any changes made to the policies. You can enjoy peace of mind knowing that you have a QA Policy that is actively enforced with document control and a complete audit history trail. Don’t spend time chasing up employees for their compliance every time you add a new policy or amend an existing one. 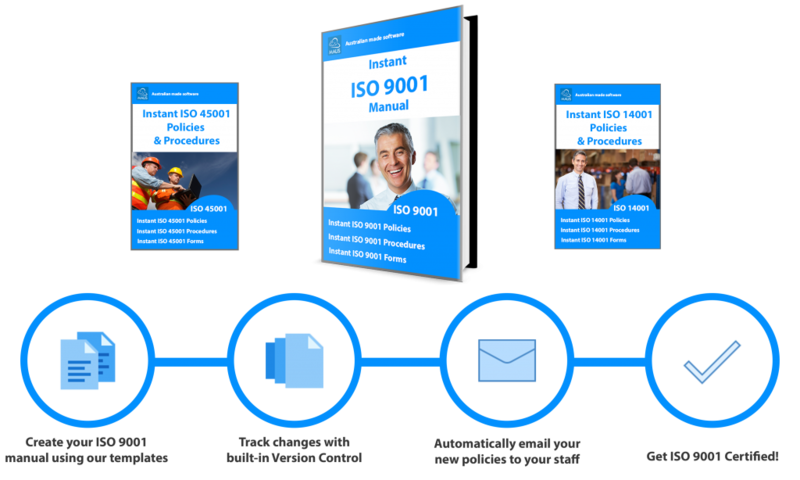 The MAUS Quality Assurance Software will automatically email your ISO 9001 documentation to your employees plus log their responses. The program will generate a traffic light report displaying every employee in your organisation as well as contractors. The traffic light will generate a green light for compliance, a yellow light for no response and a red for rejection of policy. Our no risk purchase trial gives you peace of mind that if the software doesn’t meet your needs for any reason, ﻿you will receive a full refund. MAUS utilizes a state of the art Cloud based technology for easy access, usability and efficiency. MAUS Cloud is one simple to use system to automate your business processes and save you hundreds of hours of time. MAUS is proud to be recognized as Small Business Champion in IT, as well as the Winner of Information Technology at the Australian Small Business awards. Receive instant access to the range of tools and documentation to help develop and improve your businesses’ processes. MAUS offers a complete template library aligned to ISO Standards for Quality Assurance, Health & Safety and Environmental Management. These tools combine to create professionally formatted ISO Documentation, perfect for any businesses looking at certification or tenders. Try the MAUS Quality Assurance software before you buy. Simply fill in the form to receive instant trial access. No credit card required.